 Q: What is War Child USA? War Child USA is a 501 (c)(3) non-profit organization. Our mission is to create a world in which no child knows war. We do this both by supporting children and their families impacted by conflict, and working to build sustainable peace for generations to come. Together with War Child Canada and local partner organizations, War Child USA supports programs in Afghanistan, Iraq, the Democratic Republic of Congo, Sudan, South Sudan, Uganda, and Jordan. Q: What makes War Child USA different? War Child USA invests in long-term solutions that treat the causes of poverty and violence-not the symptoms. While many organizations focus on short-term needs in conflict and post-conflict contexts such as food, water, shelter and vaccinations, War Child’s programs address the fundamental structural deficits –in education, in human rights, in employment-that makes it possible for survivors of war to rebuild their communities and create an environment in which childhood can thrive. Q: What is War Child USA’s relationship to War Child Canada? War Child USA is the newest addition to the War Child family. Our principal purpose is to support children in war-affected areas and raise public awareness about the impact of war on communities. War Child USA partners with War Child Canada to deliver international programs that support 600,000 beneficiaries each year. Q: Where does War Child USA get its funding? War Child is proud to have earned the trust of its donors through responsible, transparent and effective management of the funds entrusted to us. Contributions come from private individuals, foundations, and corporations. We are proud to receive support from trusted international organizations like UNICEF and UNHCR, as well as across arts and entertainment. Q: Who is behind War Child USA? War Child USA was founded by Dr. Samantha Nutt, a medical doctor, best-selling author and award-winning humanitarian. Samantha is a leading authority on women and children in war zones across the globe. She brings critical, evidence-based thinking to humanitarian action—empowering each local community to lead their own recovery. Her TED Talk ‘The Real Harm of the Global Arms Trade,’ with more than 1 million views, lays out a common sense approach for mitigating the civilian impact of war. Her book, ‘Damned Nations: Greed, Guns, Armies and Aid’ is a national best seller. The first step in creating change is staying informed. Join our community: sign up for our newsletter and follow us on Facebook, Twitter & Instagram to stay up to speed on the latest news from the field, and War Child’s upcoming campaigns. You can also host a fundraising event in your community—a run, a benefit concert, a lemonade stand—or start your own fundraising page on our easy to use platform Classy asking your friends and family to help you raise funds to support war-affected children.